The sump is just okay. 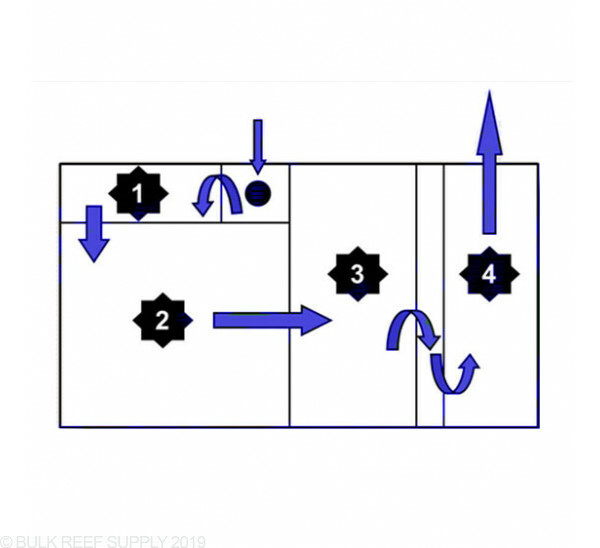 I my return pump(Vortech M1) turned back to 1/4 of the speed because if I have it higher then I get a lot of noise out of the sump where the water is returning and dumping into the filter socks. If I were to buy again I would go with one that has larger return holes that are meant for more flow. I was a little unsure about spending so much on a sump but after this arrived I had no regrets. Best description I have is it is awsome. First, the build quality is great. There are no noticeable glue or bond lines and the top blue edge has been beveled to blend seamlessly with the clear sides. Second, there is more than what the description says. The sump comes with a bunch of rubber o rings to hold probes and lines in place in the pre drilled locations. I personally like this better because you don't have to worry about accidently crushing a line from over tightening a set screw. The input fittings also come with O rings which will help prevent salt creep. Additionally, the section between the fuge and return has an adjustable/removable egg crate support. 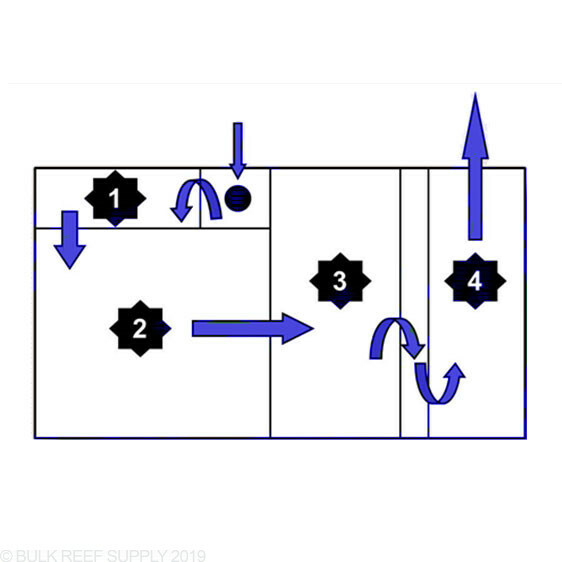 Overall very happy with the purchase and Bulk Reef Supply. My only request would be to add a couple pictures that aren't from marketing material to get a better idea of the size and features. 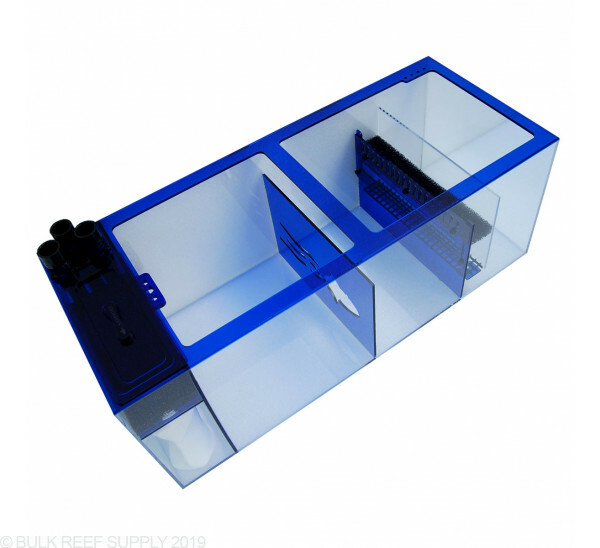 I am happy with my Sapphire Sump 39 by Trigger Systems. Lots of space for equipment. Almost too sharp to keep in the basement. Easy to plumb even with my 2 inch bulkhead water pipes. It says "drain input fittings: 2-1" and 3-1". Is it possible to get the 39 size with just the 2 inputs? Or is this something that is added and removed by the user? I just have 2 drain lines. Also, does this version come with the water dispersion plate that spreads the water evenly over the socks so the first one doesn't take all the abuse? The drain inputs are actually interchangeable and both plate options are included. The filter sock chamber does have the socks in series and there is no dispersion plate above. Would you be able to drill the end of the tank to use a external pump? You can drill the sump for an external pump. Drilling it will more than likely void the warranty but make sure to use a good quality drill bit, and take it slow to minimize the chance of anything going wrong. 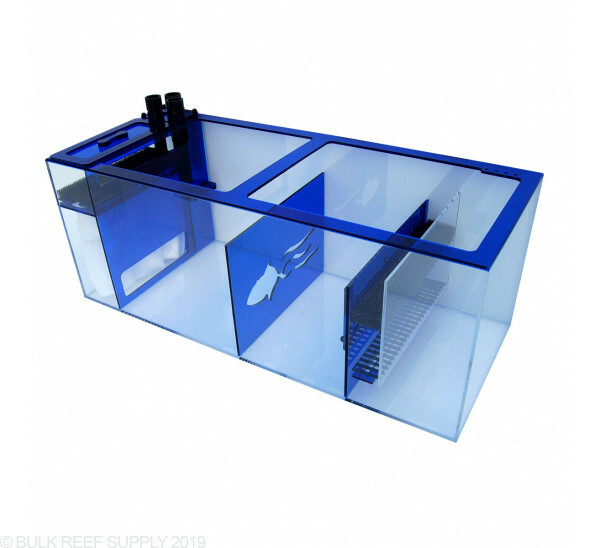 Hi, I want to order this sump and the Super Reef Octopus SRO-3000INT 8” In Sump Protein Skimmer for a new tank build. 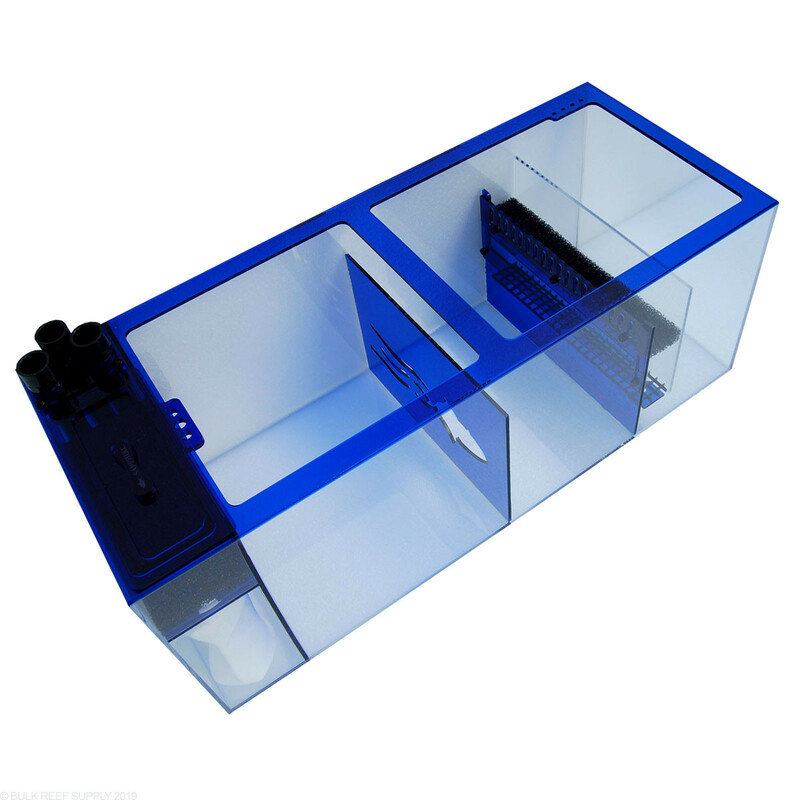 My question is that this sump indicates the skimmer water level is adjustable between 7 and 9.5" and the Octopus ideal water level is 6-6.5 inch. Is it possible to use these together or raise the skimmer by an inch? Yes, you can use a riser to lift the skimmer if you need to. 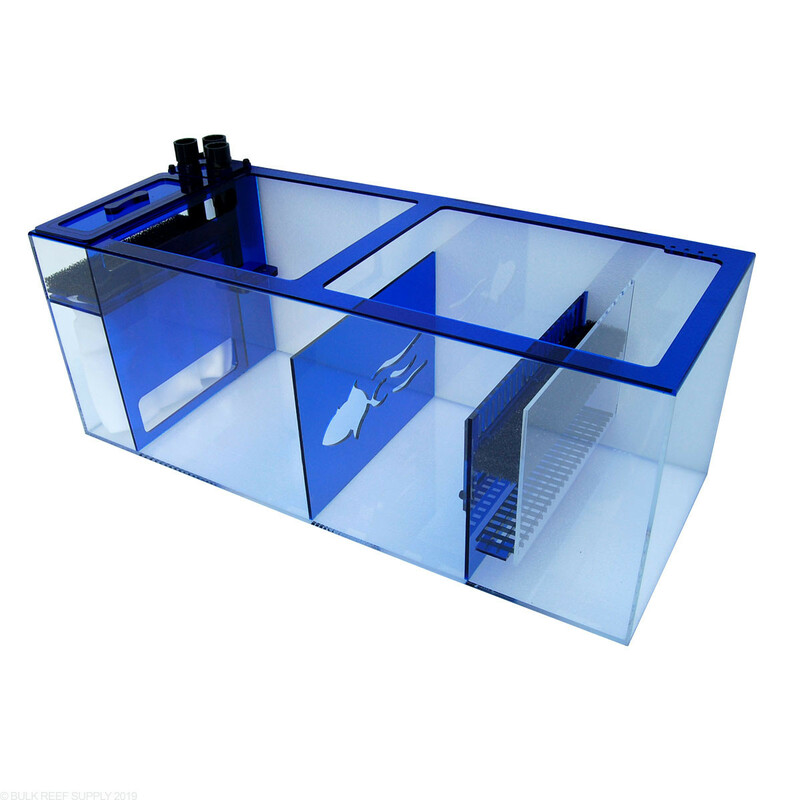 They do make acrylic skimmer risers, or some people will just DIY their own. The nice thing about the hobby grade risers is that they have multiple adjustments allowing you to tune the skimmer into its sweet spot. 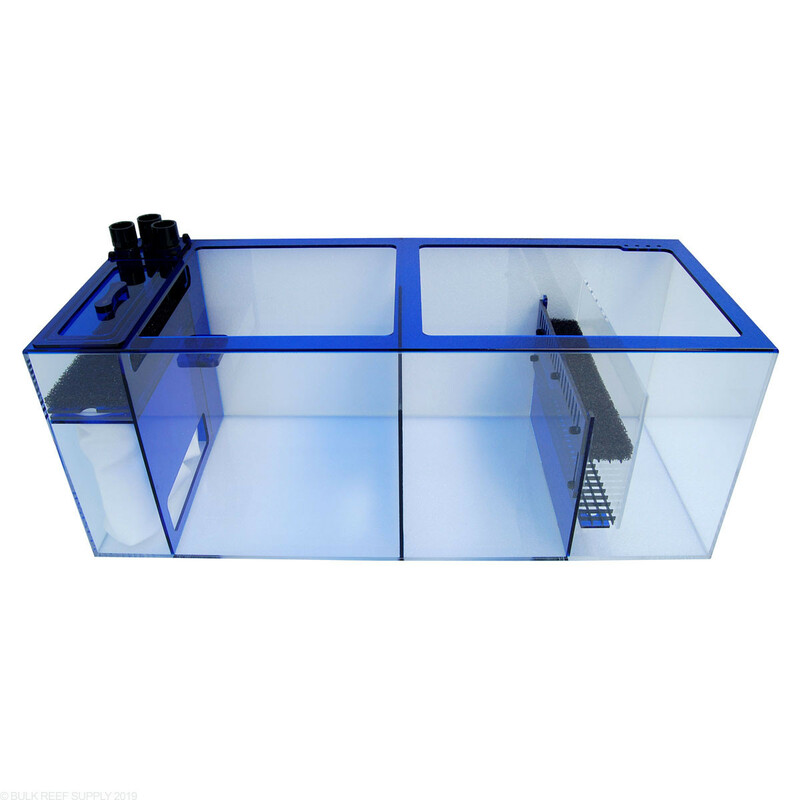 While there isn't an exact size requirement for sumps, it's usually recommended to shoot for about 20% of display volume. 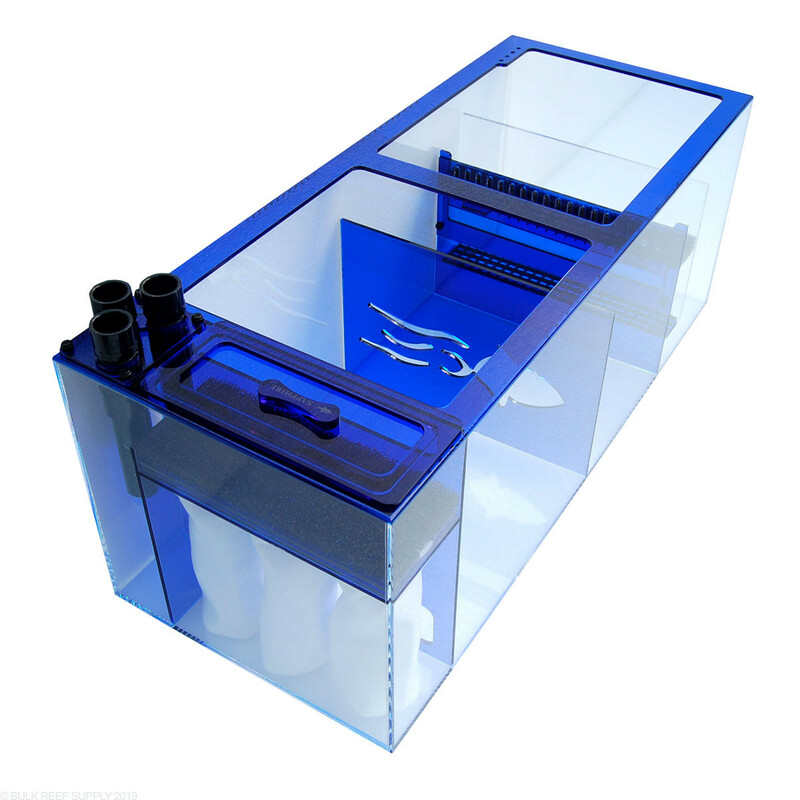 The largest consideration should really be that the sump have enough volume to hold the runoff water from the display which will drain down when the return pump is turned off, and also to ensure the size of the sump is large enough for the desired equipment. 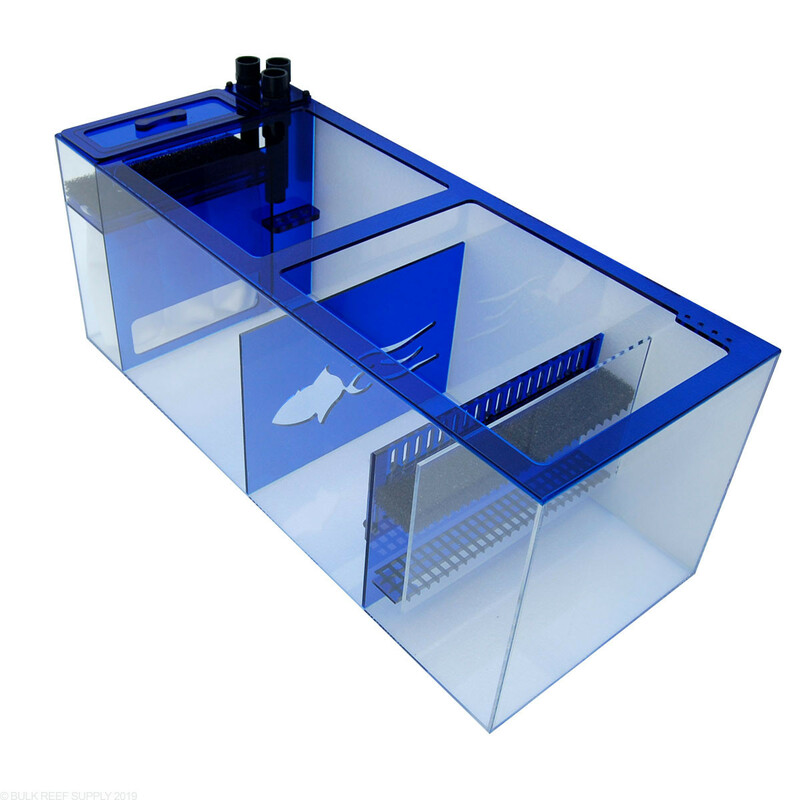 Will the Vertex alpha 170 fit in the skimmer chamber ? 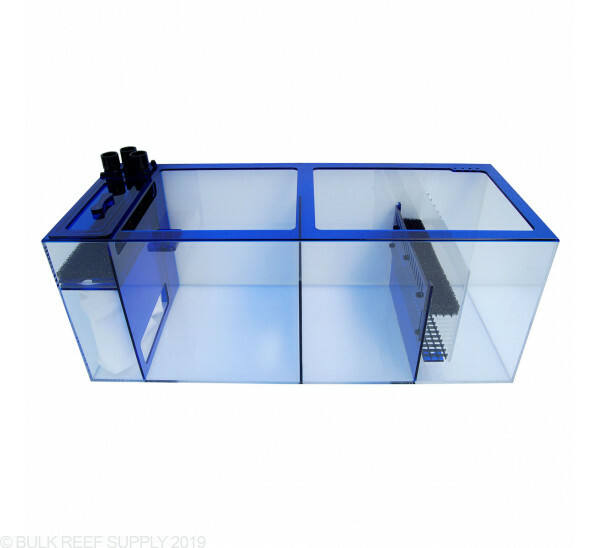 How big of tank would you recommend this sump for? 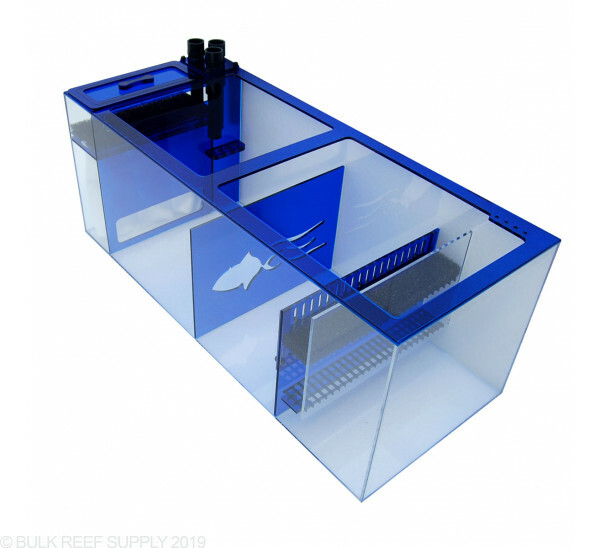 I'm afraid there isn't really a specific formula for tank to sump size, though 20% of display volume is what I would consider a minimum ratio. 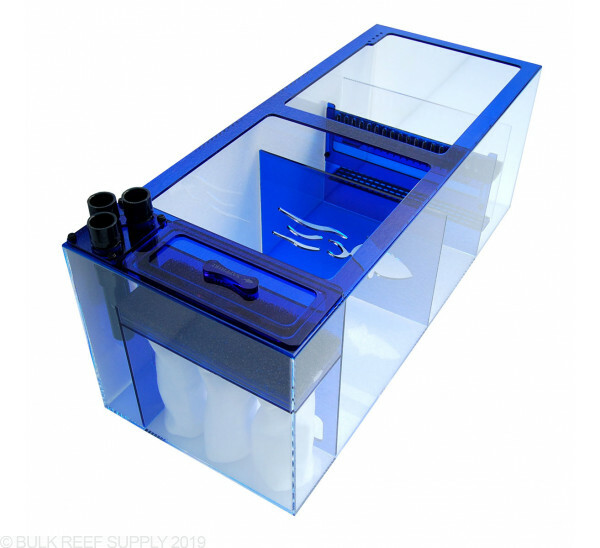 Really the most important considerations will be to ensure you have enough reserve volume in the sump to hold water from the display in the event pumps are shut off and water flows down to the sump, and then also to make sure you have room for any desired equipment.